Amrita SeRVe is an innovative nerd! At least in the eyes of the Government of India’s National Institute of Rural Development (NIRD) at the mela that recently took place in Telangana. We were given the award for best stall with an innovative product. 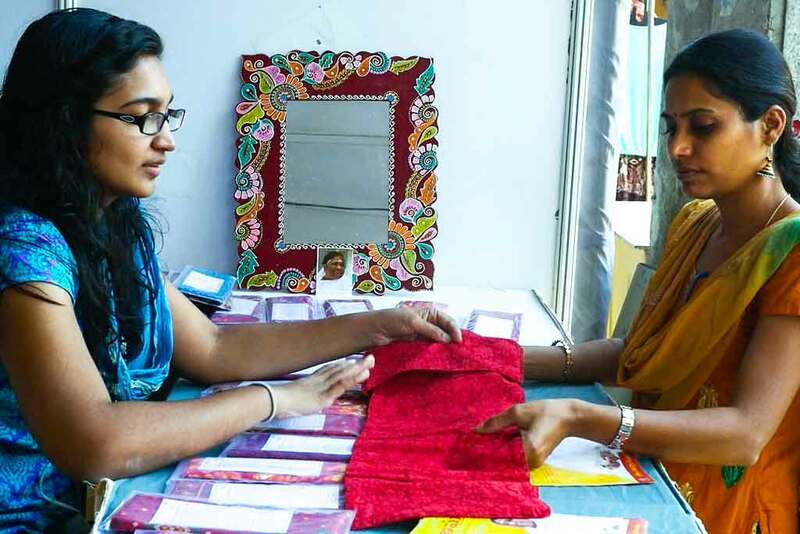 The item on display was our reusable sanitary napkins made from cotton. Swami Jnanamritananda Puri of the Mata Amritanandamayi Math addressed the crowd regarding the importance of rural empowerment as India moves forward with development. He talked about how in a recent trip to Delhi, people were breathing through cloth due to the heavy pollution. Then they went to the nearby village in Kanti, Haryana and there everything was so beautiful and clean. This is an example for all the world in how to live in union with Nature. He emphasised India’s villages are our foundation and we need to look after them. NIRD’s gathering exhibits rural crafts and talents from all over India. People from all states participated, so this was a platform for the Amrita SeRVe villagers to showcase their creations. Koduru and Gudipadi Cheruvu, villages from Telangana and Andhra Pradesh, took part. The Self Help Groups (SHGs) themselves took the initiative for deciding the products and made 12 different ones in a very short time. This included Arishelu, Murukkulu, Jawar powder, and pickles from chilli, tomato and garlic. 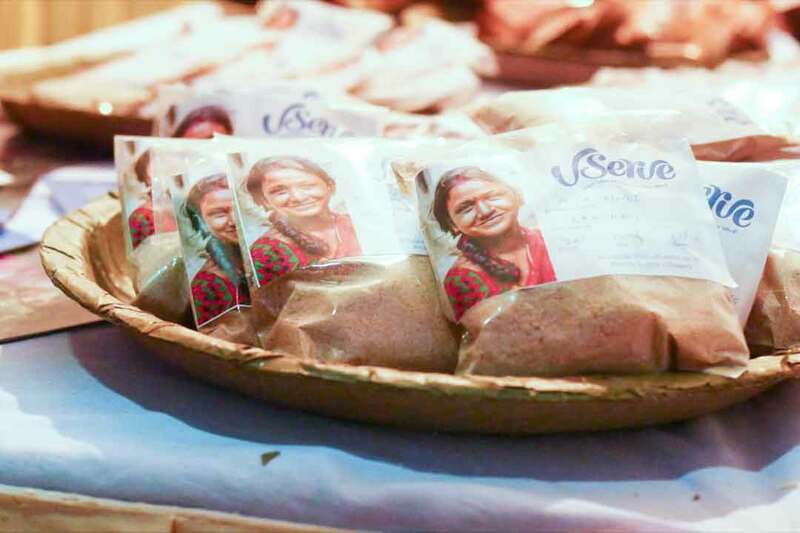 Amrita SeRVe has been encouraging the SHG and promoting their products for income generation in all ways possible. Joining the NIRD Mela boosted the confidence of the village women when they sold their products directly to the consumers. In fact, the MP of Chevelle from Telangana visited the stall, which gave the experience a formal air. Culture and traditions of the villages were performed as dance and music in the mela. Three traditional dances of Koduru village—Kolatam, Bonalu, and Katkamma—were performed beautifully by the youth of Koduru village. After their successful performance they were gifted with solar lights.